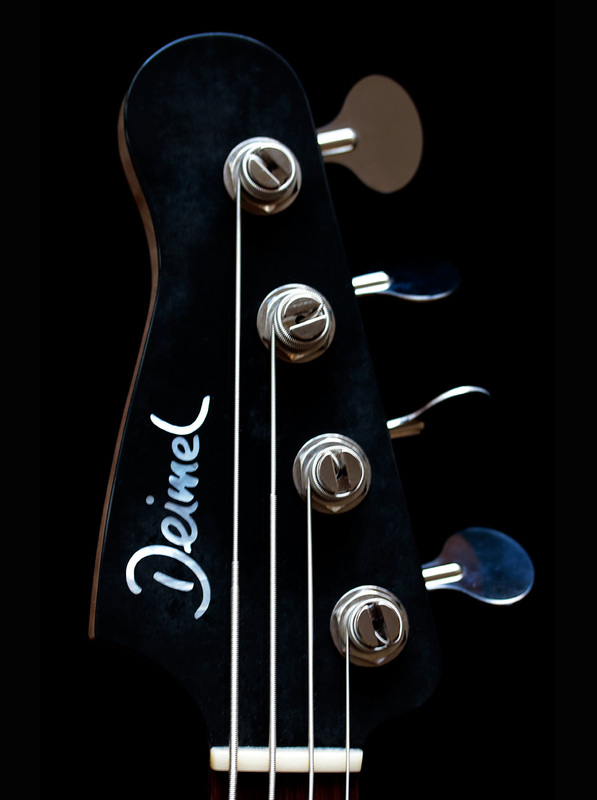 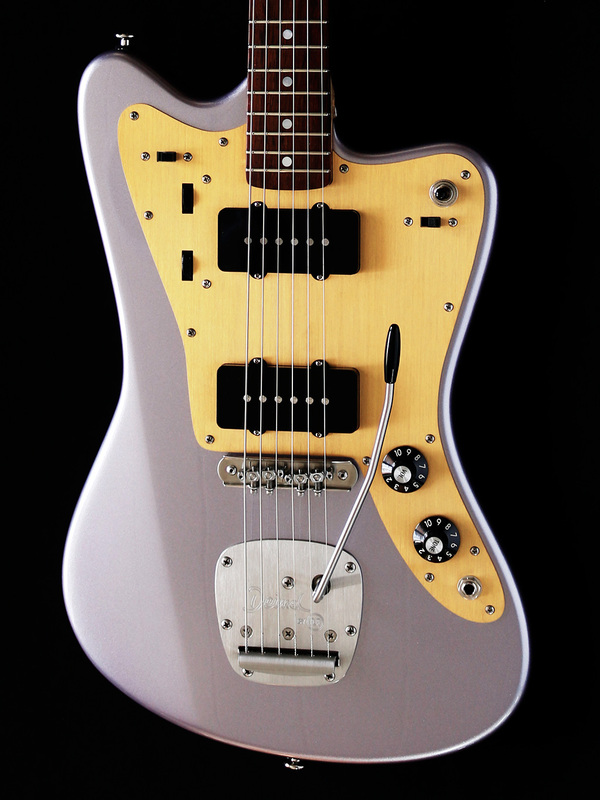 Close to its sibling, the Firestar guitar, we developed our own Deimel Thunderbucker pickups framed inside JM covers! 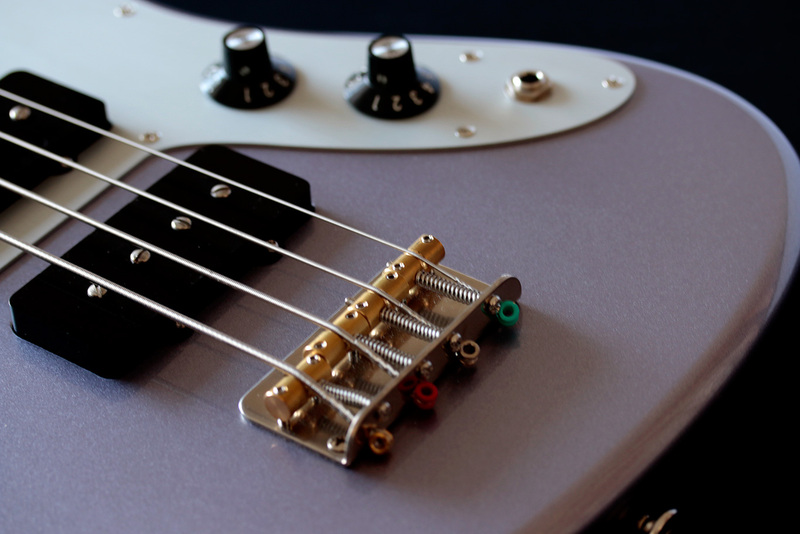 Based on passive, humbucking coil arrangement, the visual screw line is pure fake. 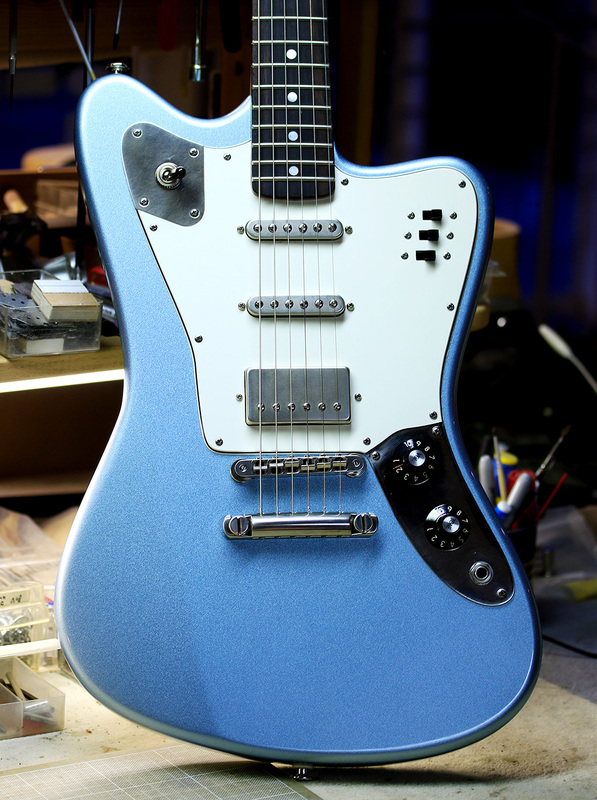 Underneath you actually will find the same pickup design as the classic Thunderbirds. 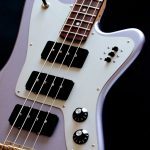 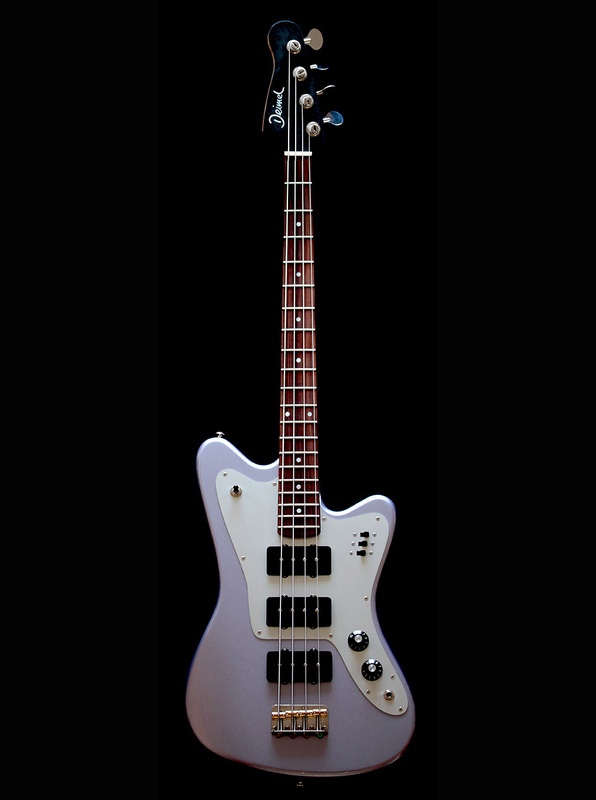 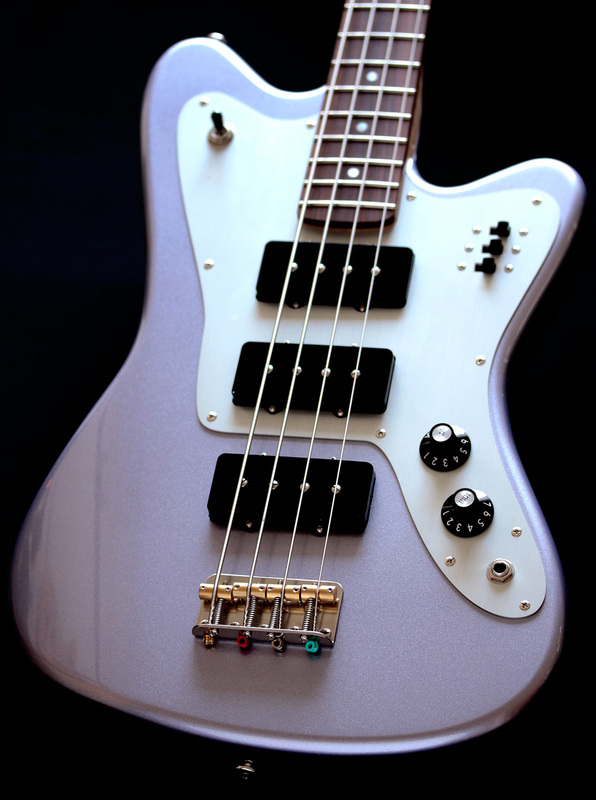 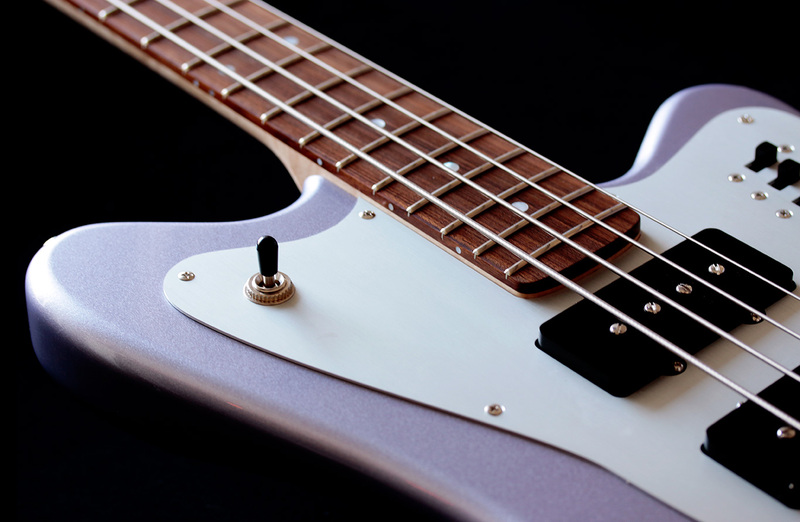 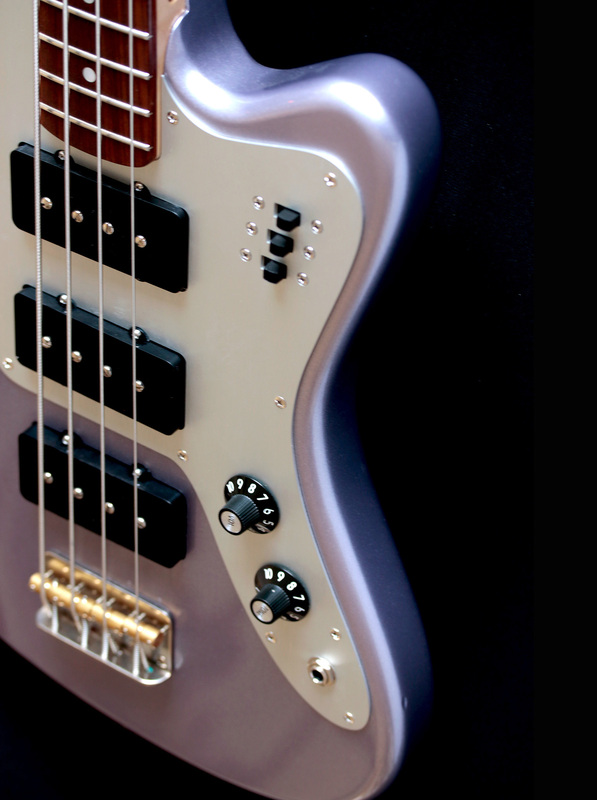 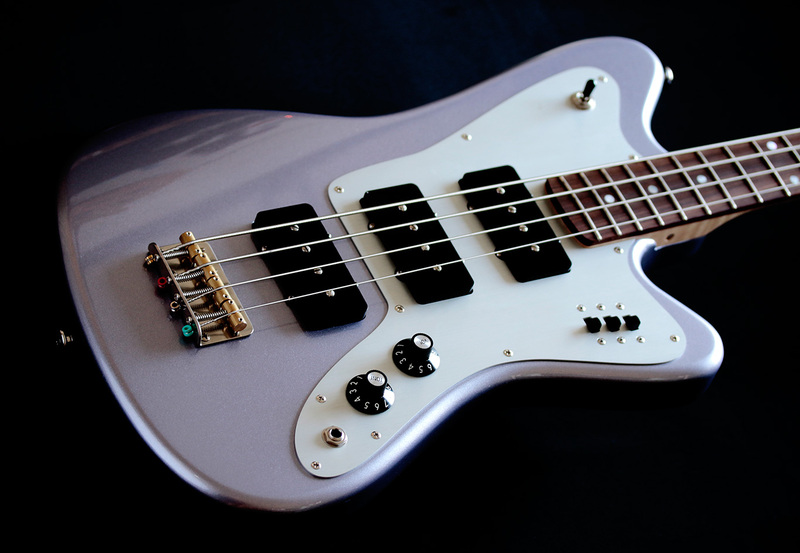 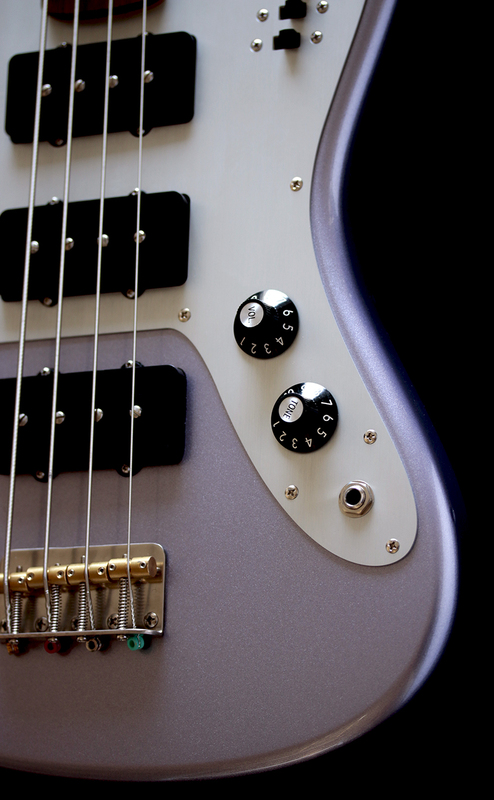 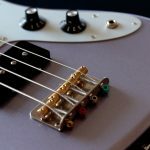 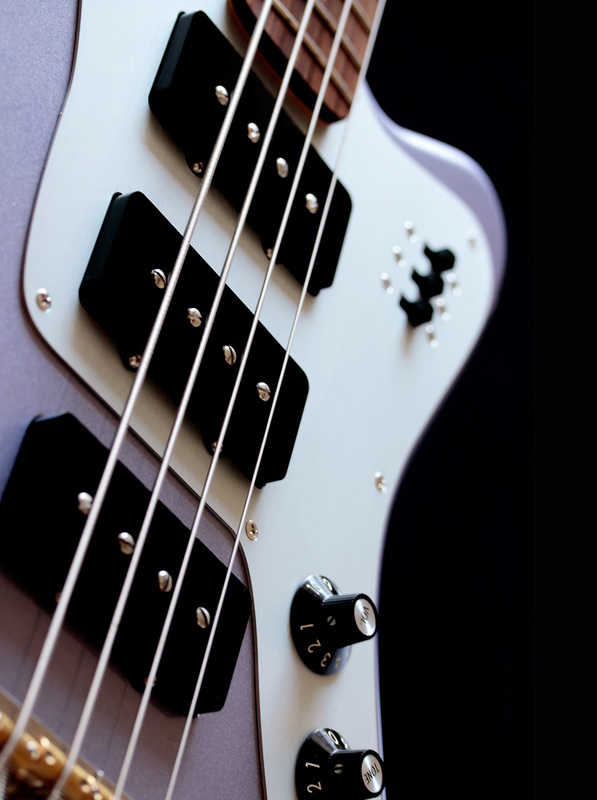 Getting colder design-wise, we counteract the warmth of the 60ies inspired outlines: a natural anodized aluminum pickguard combined with our favorite body color »Saturn Lavender« is being hold together by black plastic parts. 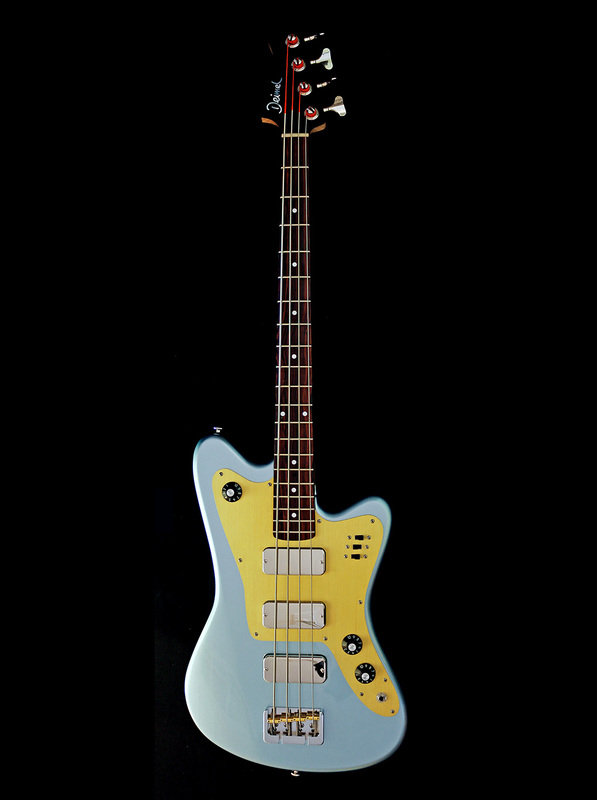 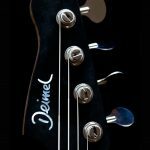 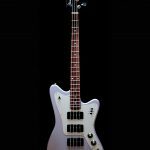 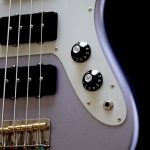 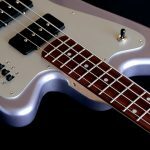 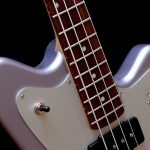 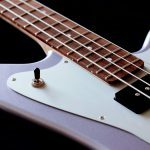 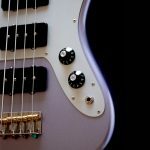 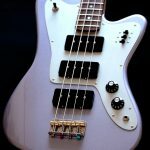 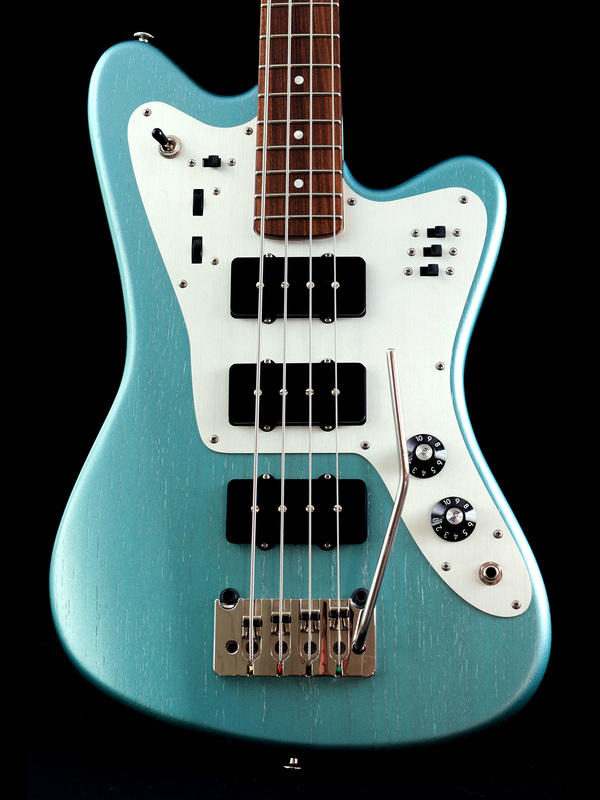 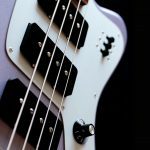 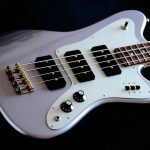 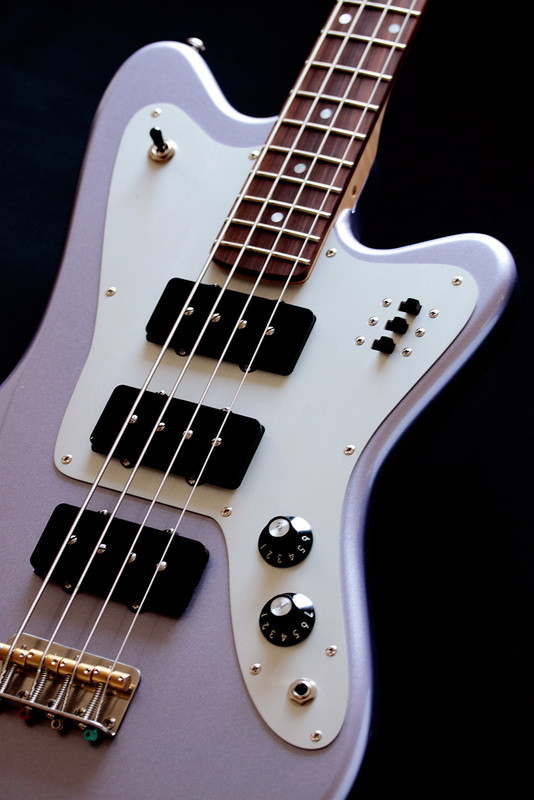 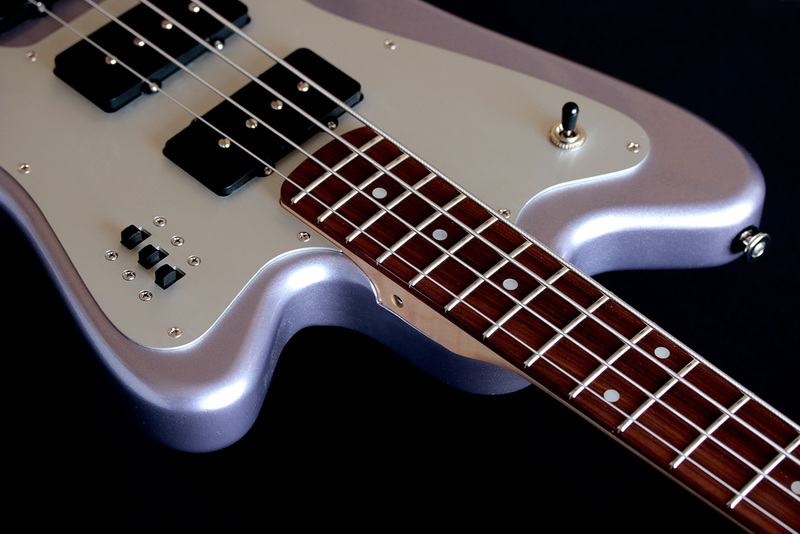 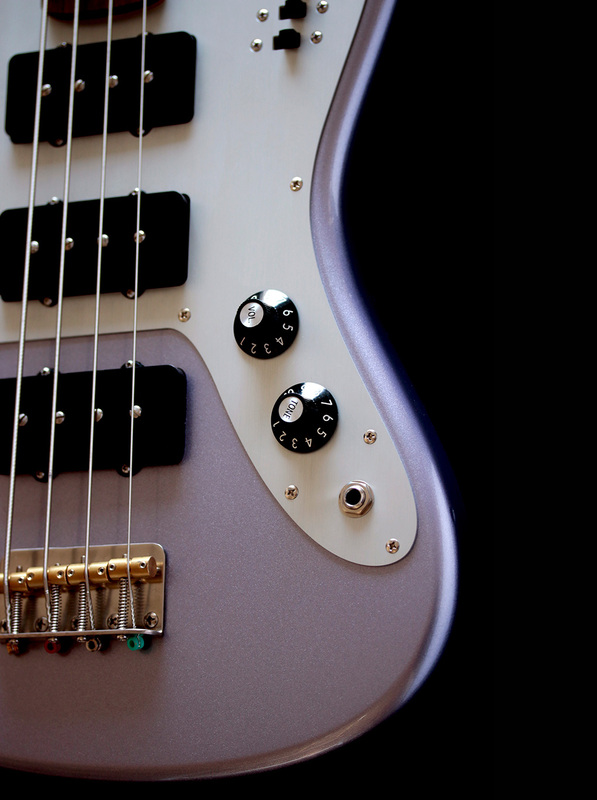 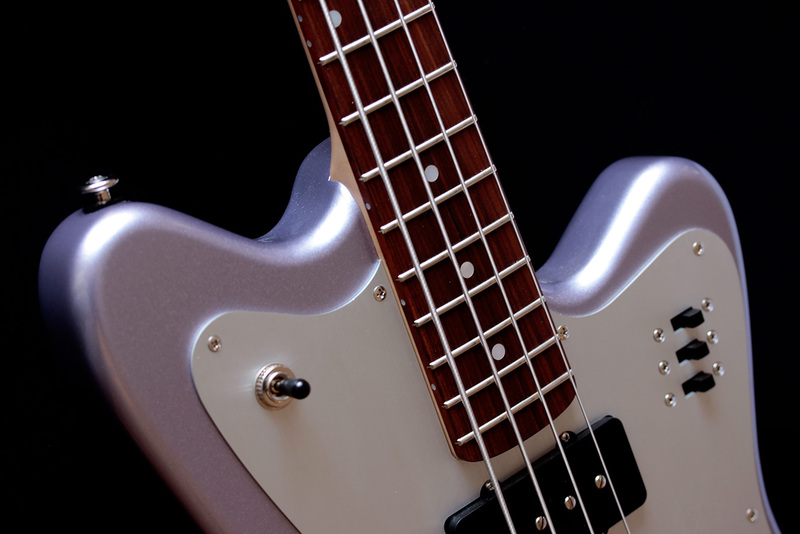 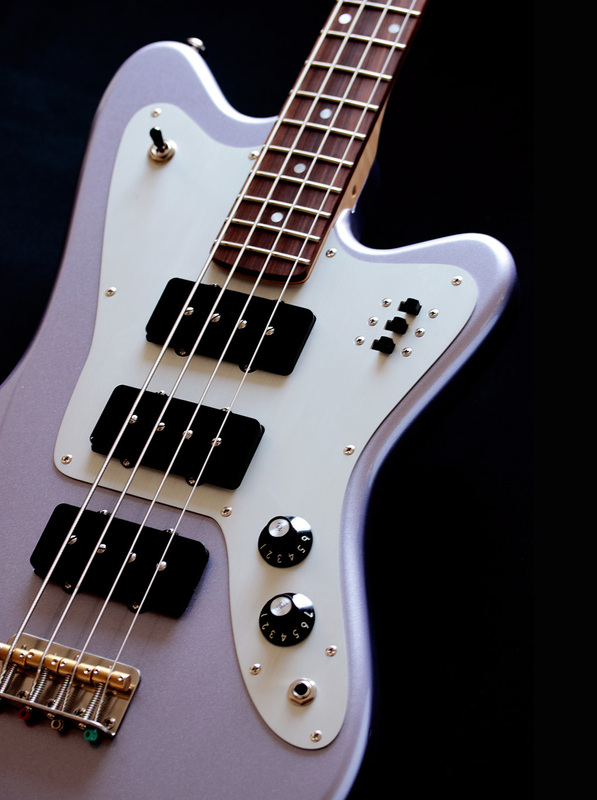 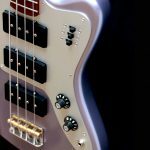 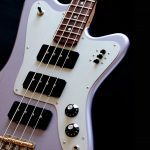 This brings this bass into a post modern territory, which Premier Guitar gear editor Charles Saufley once put into such beautiful words: »Looking backward never felt so totally futuristic«.